This post was done in partnership with Land O'Lakes who sponsored this post. As always, all thoughts and opinions are my own, and I'm incredibly excited to announce a year long partnership with Land O'Lakes because of their high-quality butter and dairy products. Thank you for supporting Hummingbird High and my awesome sponsors! So! Easter is coming up this weekend — are you guys prepared? I'm actually not doing anything Easter-specific this year since my mom and I are heading to Istanbul TOMORROW (squeeeeee!). In past years, however, Erlend and I have typically celebrated with the following tradition: he makes me an Easter basket full of chocolate, I eat 90% of it within 24 hours and get grumpy when he asks me to save him one single chocolate egg. LOL. 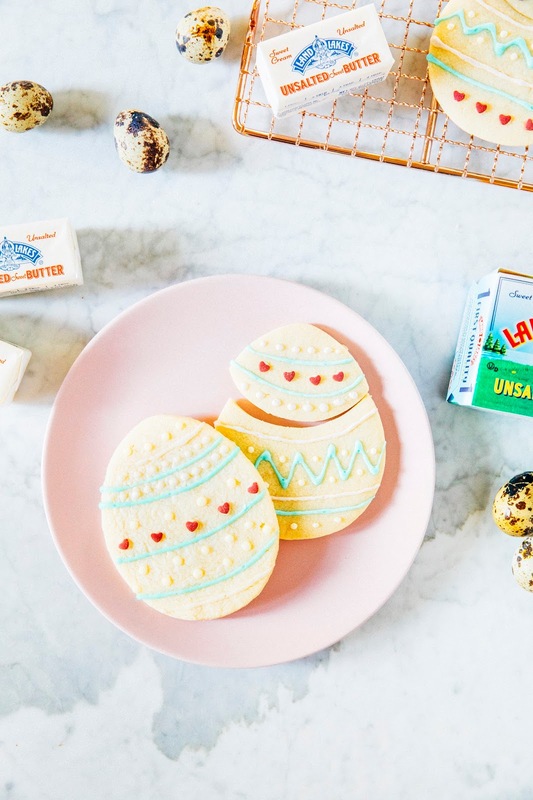 I decided to half one of my favorite sugar cookie recipes to make a small batch for Erlend to enjoy all by himself (Erlend isn't coming to Turkey with us because it's a Girls Trip and only girls are allowed... kidding! It's because he's finishing his last clinical for grad school and doesn't get any vacation until he graduates this May). This recipe only makes 8 large cookies, which really is perfect because I only have the time and patience to decorate literally that exact number of sugar cookies. 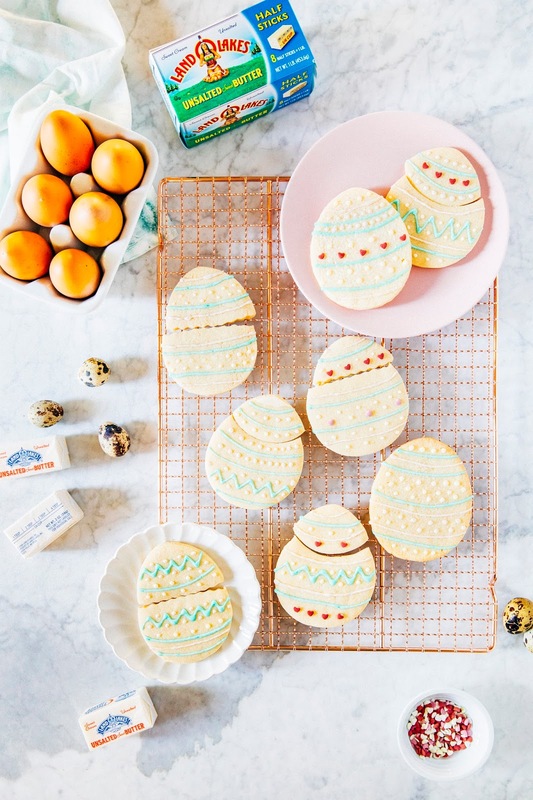 I have such mad respect for all the sugar cookie bakers of Instagram, because whatever magic they have, I just don't have it. 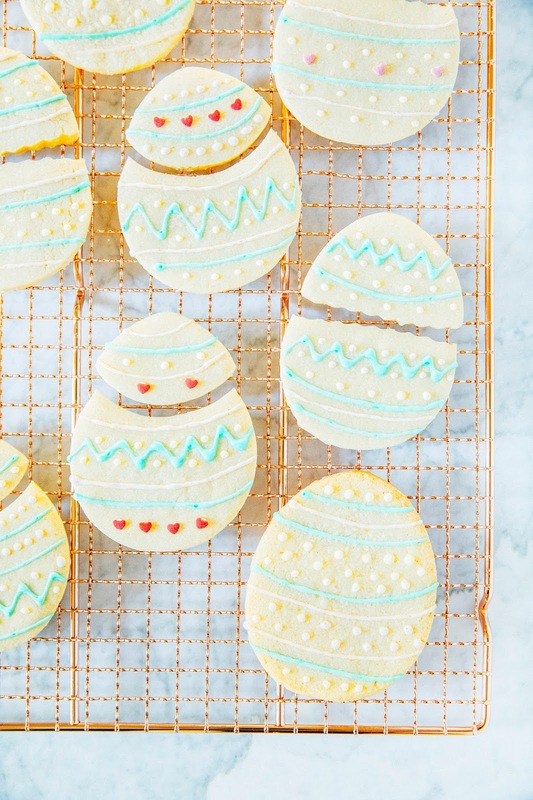 I've written about my struggles with decorating sugar cookies in the past, but these actually flew by really easily! It turns out that it's a lot easier to decorate with just dots and straight lines than it is to draw and fill actual shapes like dinosaurs and gingerbread men. Also, I cheated a little bit and occasionally used heart shaped sprinkles because my piped hearts kept looking like blobs. Shhh. Because this is a half batch recipe, it uses smaller quantities of ingredients than what's usually needed in most baking recipes. For this recipe, I specifically sourced and used Land O' Lakes® Unsalted Butter in Half Sticks. It's the Land O'Lakes® Butter you know and love, but in pre-measured and easy to use half sticks. 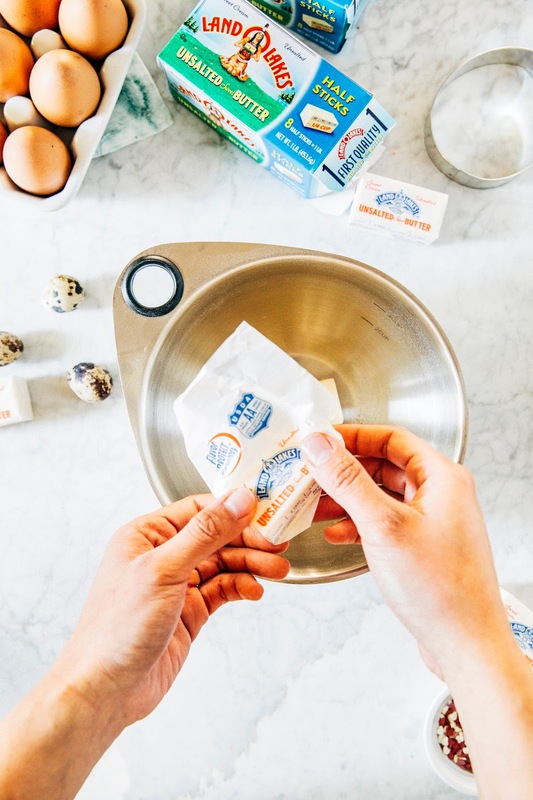 Each half stick is 1/4 cup of butter, and because they're individually wrapped, the butter stays fresher longer since it's less likely you'll have half opened unused sticks of butter lying around for a while. I legit used this butter almost exclusively when I was living in New York City and had the world's smallest kitchen — the little sticks could fit almost anywhere in my tiny (and usually fully packed) fridge! Similarly, because of the recipe's half batch nature, it uses an odd quantity: a 1/8 teaspoon measure for baking powder. Unless you shelled out for a fancy measuring spoon set, a 1/8th- sized teaspoon isn't a measure that traditionally comes with most measuring spoon sets. No worries! You can purchase one online easily for less than five dollars. Because Erlend is a fan of coconut, I used some coconut oil to give these cookies a subtle coconut flavor. 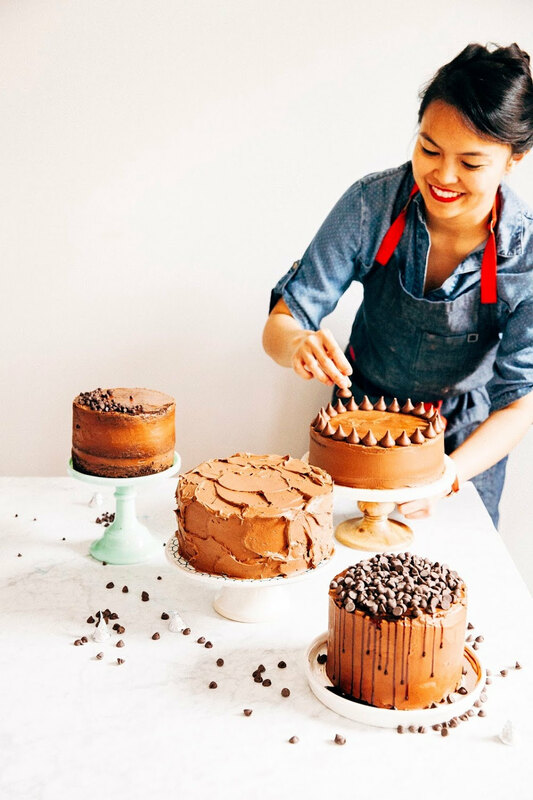 But for this recipe to work, you want to use coconut oil that is not liquid, but not too solid either — you want it to have the consistency of room temperature butter. I usually microwave about a quarter of what the recipe calls for to a liquid state, and then whisk the melted coconut butter into the remaining solid coconut butter to get it smooth and creamy; the ideal temperature of the perfect coconut oil consistency is around 72 (F). I rolled my cookies out to 1/8-inch thick, but it might have been too thin — although it yielded a lot of cookies, they got a little brittle and broke easily after a few hours. When making these next time, I'd aim to roll these out to 1/4-inch thick instead; you'd likely end up with less cookies (depending on the kind of cookie cutter you used), but they'd be more solid and less prone to breaking. If you prefer not to use raw egg in the royal icing recipe, no worries! You can easily substitute with meringue powder, which is available at speciality gourmet stores or online. Substitute 1 large egg with 1 1/2 tablespoons meringue powder and reduce the water required in the recipe by 1 tablespoon down to 3 tablespoons total. Proceed with the recipe as instructed. In a medium bowl, combine 1 1/3 cup all-purpose flour, 1/8 teaspoon baking powder, and 1/2 teaspoon kosher salt. Set aside. 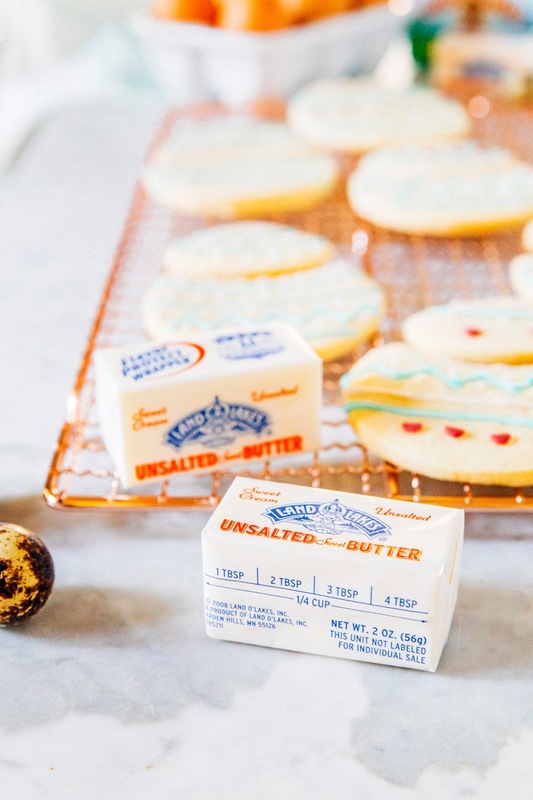 In the bowl of a freestanding electric mixer fitted with a paddle attachment, combine 1 Half Stick Land O Lakes® Unsalted Butter and 1/4 cup refined coconut oil. Mix on medium speed until creamy. 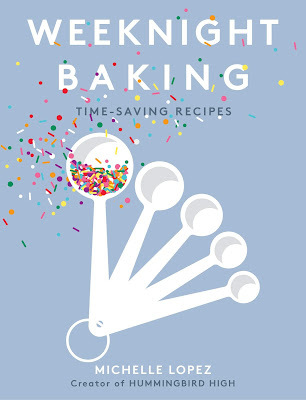 Reduce the mixer speed to its slowest setting and add 1/2 cup granulated sugar; turn the mixer speed to medium-high and continue beating until light and fluffy, around 3 to 5 minutes. Reduce the mixer speed back to its slowest setting and add 1 large egg white and 1/2 teaspoon pure vanilla extract, beating until just combined. Add the dry ingredients from the 1st step in two parts, beating on low speed until the dough comes together into a mass. Tip the dough out onto a large sheet (at least a 9 x 13-inch rectangle) of parchment paper. Use your hands to quickly knead it into a small mound about 5 by 5 inches wide. 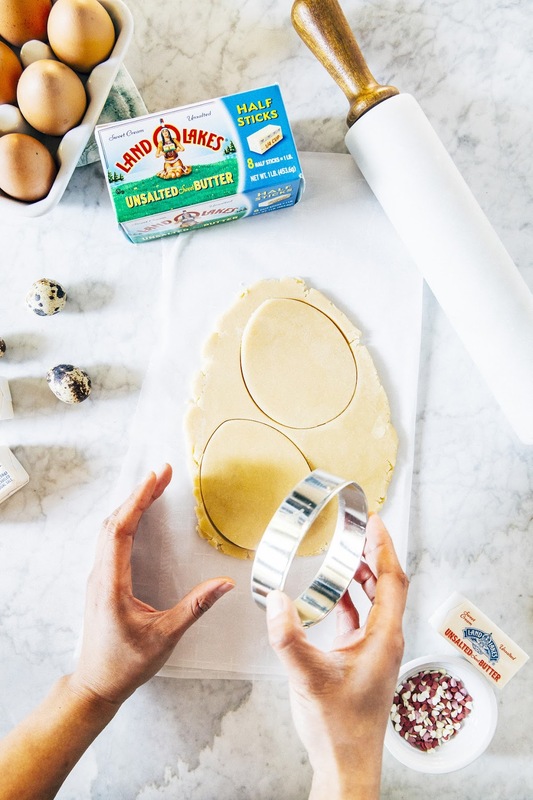 Place another parchment paper on top of the dough to create a kind of "dough sandwich", with the cookie dough in between the two parchment paper sheets. Use a rolling pin to roll the dough (still sandwiched between the paper) into a slab about 1/8- to 1/4-inch thick. Scoot the parchment paper containing the rolled out dough onto a sheet pan and transfer to the refrigerator to chill for at least 1 hour. When the dough has been chilled, center a rack in the oven and preheat to 350 (F). Remove the sheet pan containing the rolled out dough from the fridge, and transfer the parchment paper onto a work surface. 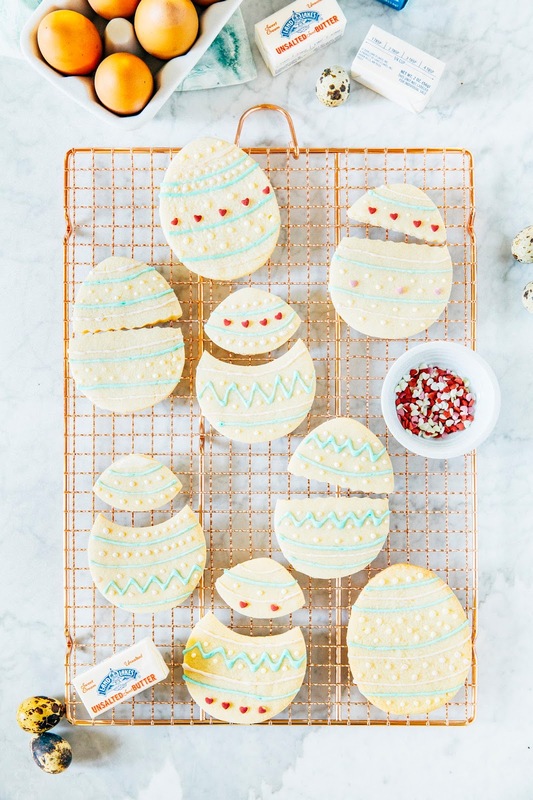 Working quickly, use an Easter egg shaped cookie cutter to stamp out egg cookie shapes from the dough. Line the sheet pan with an additional set of parchment paper and transfer the cookie cutouts onto the sheet pan, leaving at least 3 inches between each cookie. Gather and reroll the scraps to create additional egg cookie shapes. If you find that the dough has gotten too soft, transfer to the freezer and chill for an additional 5 minutes before rolling out again. Transfer the sheet pan containing the cookies to the preheated oven and bake for 12 minutes, or until the cookies are puffed but firm and a very pale golden brown around the edges. Remove the sheet pan from the oven and transfer to a wire rack to allow the cookies to cool on the sheet pan to room temperature completely before frosting. In a medium bowl, whisk together 2 cups confectioners' sugar, 1 large egg, and 1 teaspoon pure vanilla extract. Add 1 tablespoon of water one at a time, whisking until the desired consistency is reached: for lining icing, which is great for dots and patterns like the ones you see on my cookies, you want a soft peak to form when a spoon is lifted from the icing. Whisk in food coloring until homogenous and transfer to a piping bag with a small tip. Use immediately. Wow! So beautiful! It is majestic and ancient.